Each and everyday you experience life in a way you've never expected to. Morning rituals, carrides to school, lunch time favorites, milestones and more. Children make the memories we come to love and cherish for a lifetime. We tell the stories at the table over holiday dinners, we tease them in front of their friends as they get older and then they share those stories with their children. The Way We Are is a series that documents your children's milestones in a fashion that doesn't require a get up or fancy clothes. It captures those messy moments that you come to adore within the walls that hold all of your memories. 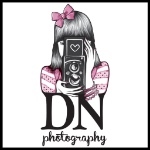 This series allows for DNP to step into your home and capture some really special memories without being invasive or directional. This is a true photo journalistic approach to photographing the intricacies and uniqueness of your family. Each session will include a list of activities that you and your children can participate in. The Way We Are series came about on a chilly afternoon in Washington, DC. 2 year friends and clients were relocated for work but kept me as their annual photographer. Flying me up for a weekend of photos and quality time together there was a slight hiccup in the plan as their soon to be 3 year old had fallen ill with a cold upon my arrival. Nora, their sweet and super sassy little one, decided she wasn't going to let a little cold hold her back. We baked cupcakes for her birthday and as they were shoved into the oven she skipped over to her tea set and invited us over for a party. Over Christmas Nora was given a tea set complete with cups, saucers, spoons for stirring, a tea pot and a sugar cup. Tea time had quickly become Nora's favorite activity. I managed to slip out between sips and grab my camera for some lifestyle shots. Shortly after filling up on tea, we turned on her favorite movie as she sang and danced to the music and reacted to the "bad guy" parts as if it were the first time seeing it. Dad had finally returned home from work and suddenly she was transformed into an airplane flying through the living room in the safety and limitless of his arms. The next day we were able to nurse her back to health and get some outdoor styled shots before my flight home that evening. A few days after my return, Nora's mommy emailed me with a response to the collection of images I had sent over. "Our favorite images were the ones in our home. You truly captured Nora's sweet personality and we're so thankful for that. We'll never forget tea time now and can't wait to show her these images when she's older." Boxes stacked 3 and 4 high in the background of their home as they had just moved in captured another milestone for not only Nora but their family. It was then that I knew I had to offer this to other clients.